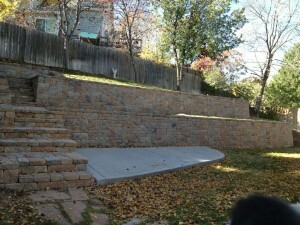 Retaining walls are a necessity in many landscapes due to the rolling topography of the Front Range. Functional retaining walls serve many purposes, such as leveling, retaining, or terracing a sloped area, to create space and usability, to maintain an existing grade, and to curb soil erosion. Consider installing accent and garden walls to break-up space and add decorative interest. Outdoor Arts can design and install a retaining or accent wall using a variety of materials to ensure longevity, aesthetic appeal, and affordability. Our skilled staff will make sure that your walls have strong stable bases, compact backfill, and proper drainage for outstanding resilience! Stone and boulder retaining walls and terraces provide an elegant beauty as well as a stable, hardy form of soil erosion control. Popular types of stone include Siloam stone, granite, river rock, and moss rock – a good variety for all styles! We can also incorporate a new or existing water or fire feature to create an tranquil backyard getaway! Although timber walls are declining in popularity, many homeowners install them for their natural appeal. Colored and natural timber retaining walls are affordable and versatile options. Let us design a visually striking retaining wall for your landscape using colored, stamped, or textured concrete blocks and bricks. These affordable walls can stand-up against what Mother Nature has to offer, while leaving room for a completely unique design! 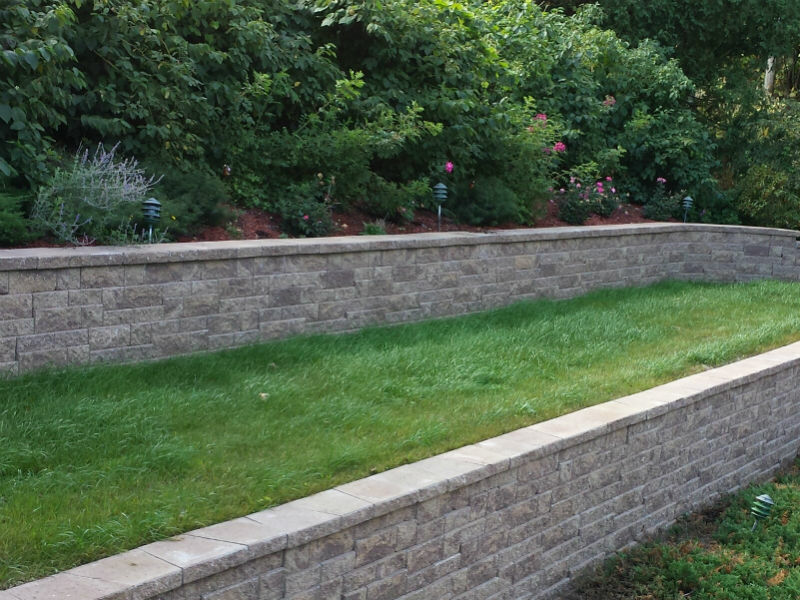 These retaining walls will add a bit of elegance and allure to your outdoor space! Garden walls, seating walls, and other accent walls can be used in tiered or terraced landscapes to help grade the slope, guide guests through your gardens, and break-up or tie-together large spaces. Our expert designer can offer a variety of materials that will complement your garden and the style of your home. Installing a retaining or accent wall can often be a difficult and complex task, so please contact Outdoor Arts Landscape for expert installation and design. Our skilled staff abides by all local & regional building guidelines and requirements, ensuring the job is done right.